“Help me Obi-Wan Kenobi… you’re my only hope!” It’s the phrase that spurned a farm boy to be a hero, made an exiled Jedi come out of hiding, and ignited our imaginations for the past four decades. The Blot still remembers the first time I saw that holographic message from Princess Leia Organa played by R2-D2 for a dumbfounded Luke Skywalker and then again for the message’s intended recipient, Obi-Wan Kenobi. To help celebrate the 40th anniversary of Star Wars: A New Hope, Gentle Giant captures that iconic moment with this San Diego Comic-Con 2017 Exclusive Holographic Princess Leia Collector’s Gallery Statue! 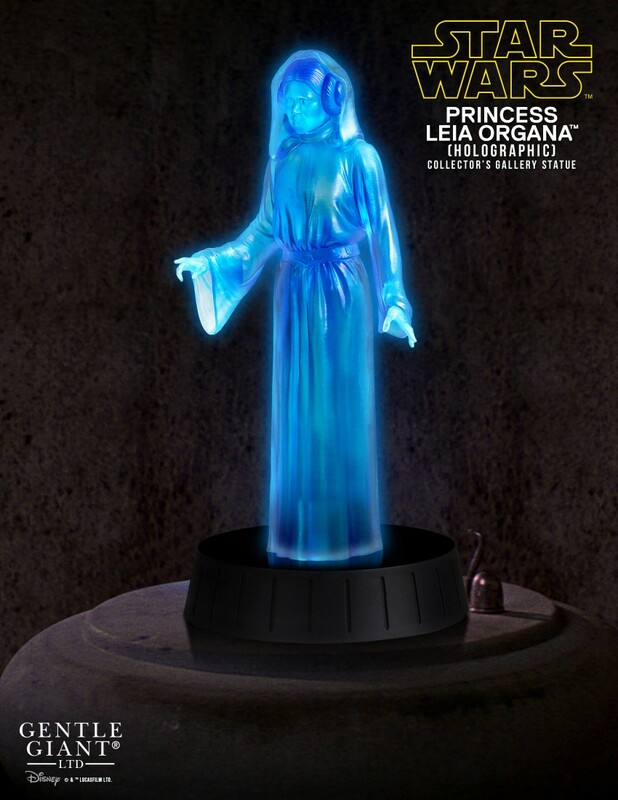 Sculpted by the master artisans at Gentle Giant, the San Diego Comic-Con 2017 Exclusive Holographic Princess Leia Collector’s Gallery Statue stands 8.8” tall, features a light up function and button activated sound clip to help you even in your most desperate hour. 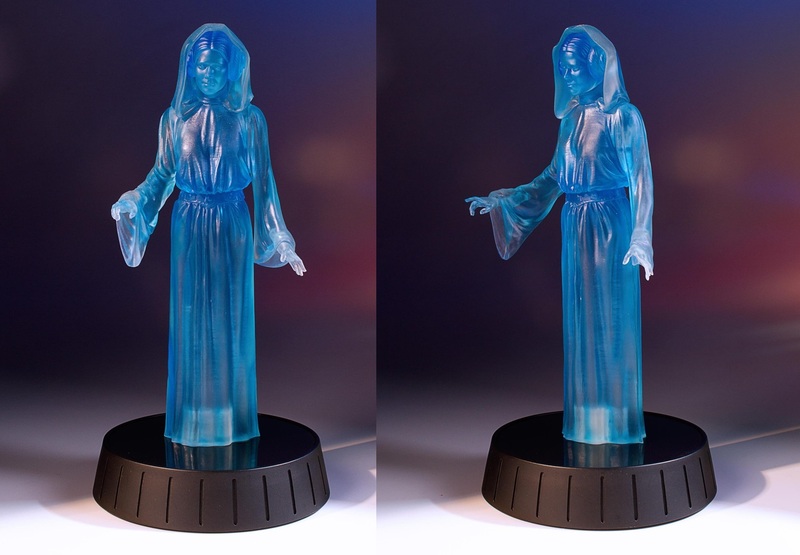 This limited edition statue comes hand numbered with a matching certificate of authenticity and can be purchased at the Gentle Giant SDCC booth later this month.